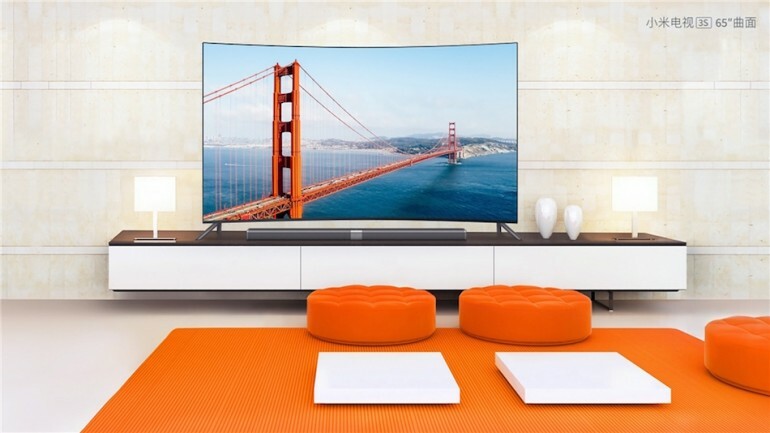 The Xiaomi Mi TV 3 was just announced a couple of months ago, but the rapidly growing Chinese company has already unveiled the successors to the TV. Dubbed as the Mi TV 3S, there are two variants of the TV: a 43-inch 1080p one, and a 65-inch 4K curved TV. As usual, the retail prices of these TVs are very, very competitive. Without a doubt the highlight of the launch event is the curved variant of the Mi TV 3S. 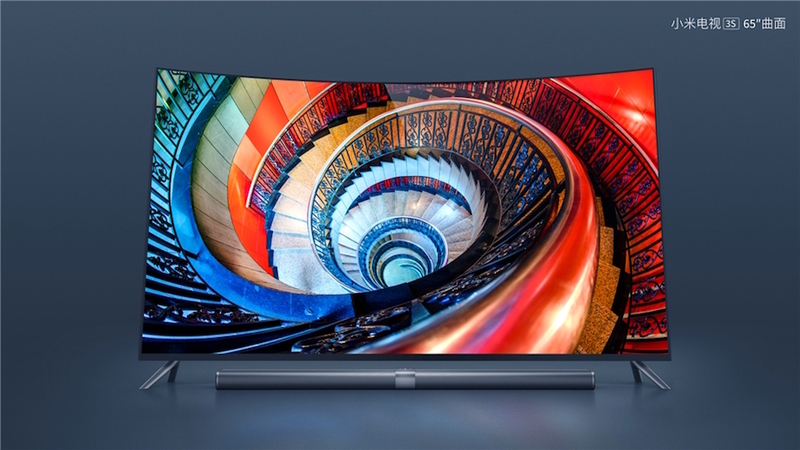 Not only is it a 65-inch 4K curved TV (the panel is supplied by none other than Samsung), it is also equipped with an Mstar 6A928 “flagship 4K TV processor” paired with 2GB of DDR3 RAM, 8GB of eMMC 5.0 flash memory, 802.11ac WiFi, and also Bluetooth 4.1. The 65-inch Mi TV 3S also has a metal body and a thickness of only 5.9mm. 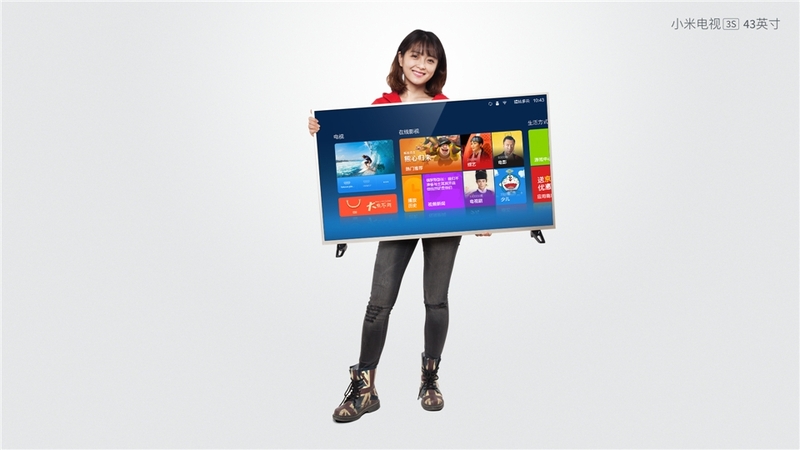 The smaller, more affordable 43-inch Mi TV 3S, on the other hand, is a conventional full HD TV. It features an Mstar 6A908 processor paired with 1GB of DDR3 RAM, 8GB of eMMC 4.5 flash memory, 2.4/5GHz dual-band WiFi, and Bluetooth 4.0. 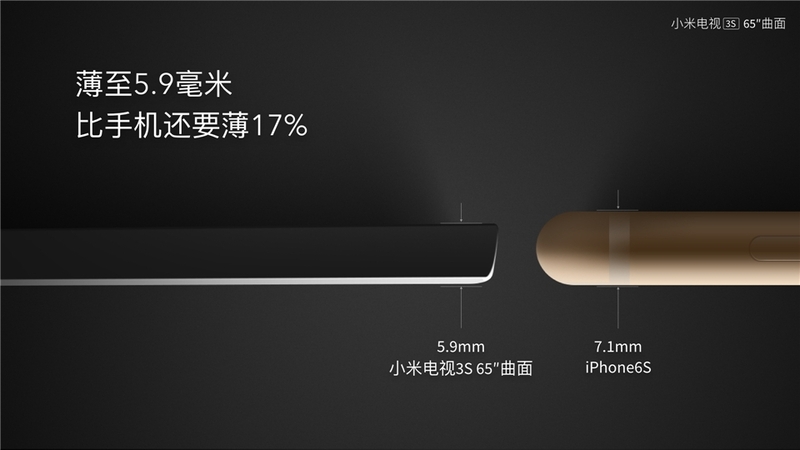 Just like the bigger 65-inch Mi TV 3S, this model also has a metal construction, although it is also thicker at 10.9mm. 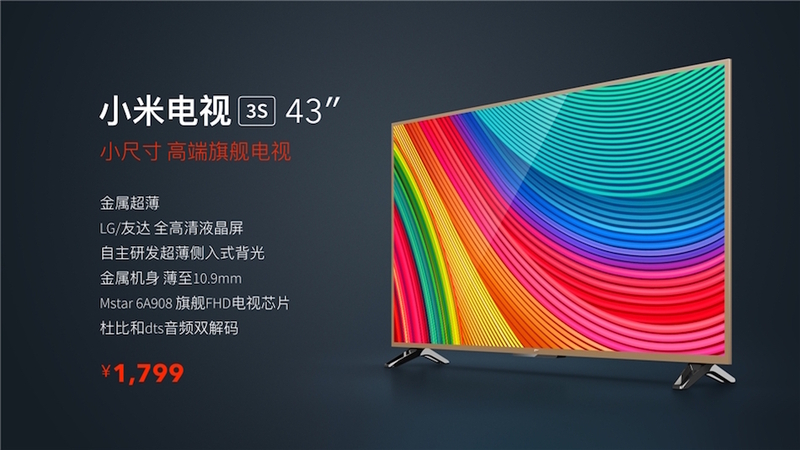 Of course, the main selling point of the Xiaomi Mi TV 3S is its retail price. The more affordable 43-inch variant goes for only 1,799 Chinese yuan (about RM1,105), while the higher-end, more premium 65-inch model retails at 8,999 yuan (about RM5,530). The Mi TV 3S will start shipping on 31 March, and as is always the case, there’s no indication that the Mi TV 3S will be available officially outside of China.